I love love love these rolls! 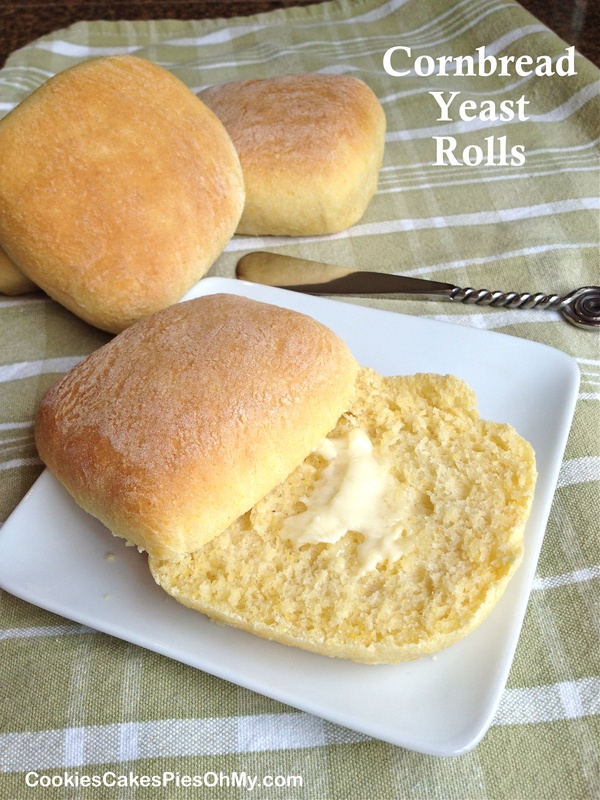 A cross between cornbread and yeast roll, and so very delicious. The original recipe can be found at doughmesstic.com. I did change it up a bit here on my site because I didn’t have self-rising cornmeal, a substitution had to be made. So if you have regular cornmeal you can use this recipe here, if you have self-rising cornmeal you can use the original recipe. They really are uniquely wonderful, trust me I know, I ate a lot of them today ;o). In bowl of mixer, stir together cornmeal, baking powder, and salt. Pour in hot water, stir, and let sit for 10 minutes. Pour hot water over cornmeal mixture in bowl. Sprinkle yeast over water/cornbread mixture and sprinkle sugar over yeast. Let sit for 5-10 more minutes until yeast is foamy. Mix in egg and butter. Add flour and salt. Mix until all is well incorporated and dough is smooth and elastic. Put dough in sprayed bowl, cover and let rise until doubled, about 1 hour. 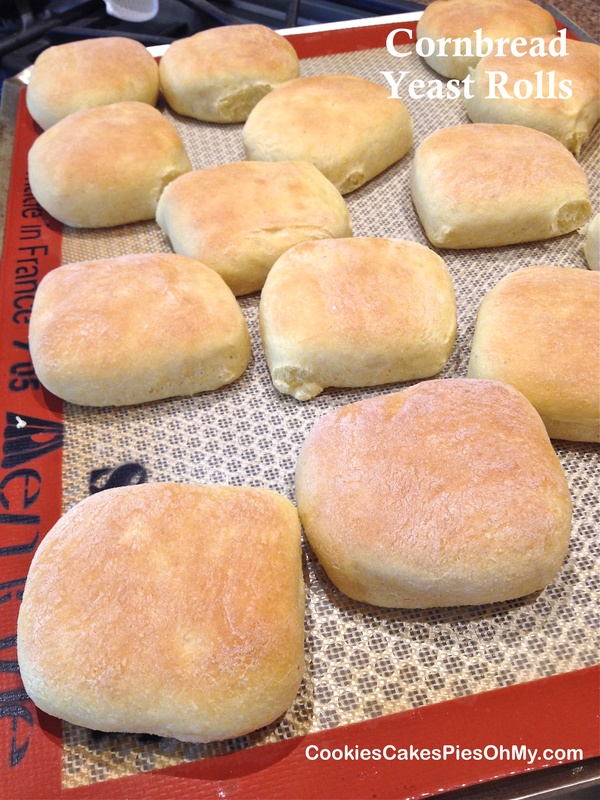 On floured surface, turn out dough and shape into desired rolls. Placed on a greased baking surface. Cover and allow to rise again, about half hour. Bake at 350 for 15-18 minutes. Makes 16-24 rolls depending on size of rolls made. Self rising cornmeal??!! Did not even know that existed! Thanks for making the adjustment. Look really wonderful. I know, I didn’t either. Will definitely be looking next time I am at the store. Maybe a higher demand for it in the South?